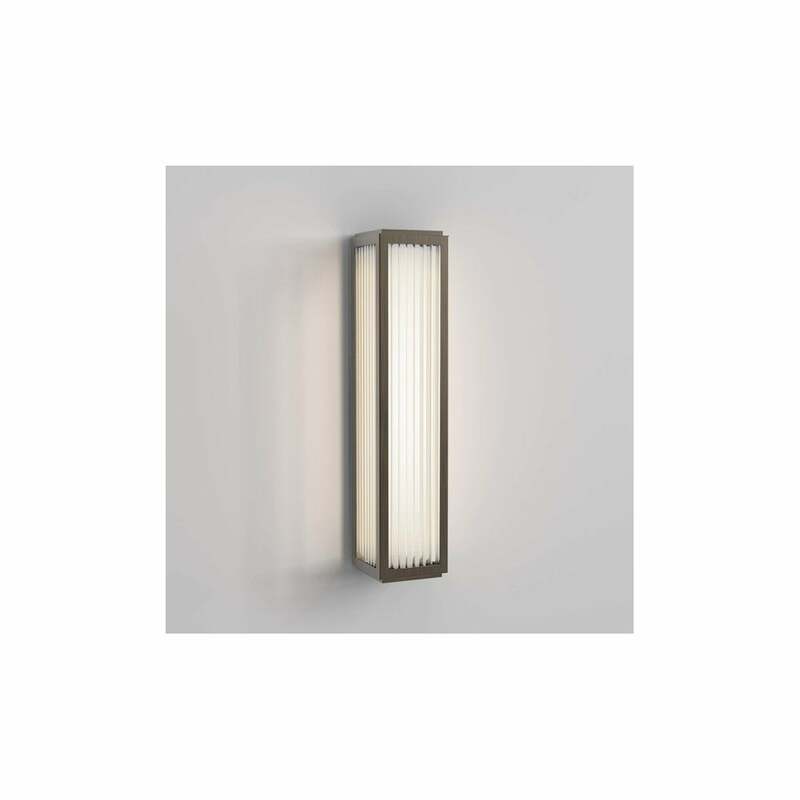 Astro Lighting Boston 370 single light bathroom wall fitting features a rectangular shaped bronze frame with frosted glass shade and ridged effect design. The product code for this Astro Lighting wall fitting is 8330. This contemporary design has a minimalist style which is perfect for modern bathroom within your home and the integrated 3000k warm white LED provides 609 lumens.